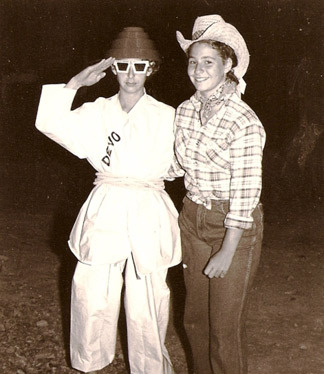 DEVOtee Marc Friedman is invited to a Country Western dance, Sadie Hawkins style. Everyone else was dressed up in plaid shirts, jeans, and straw hats. Marc's date arrived to pick him up and found him dressed in full DEVO gear.